Christian Helping Hands exists to be a REFUGE for people with an immediate need and offers an opportunity for RENEWAL to those who need a second chance. Our passion is to help people who find themselves in difficult situations, whether they are jobless, homeless or going through a rough time. Our goal is to transform our community by helping people rebuild their lives. 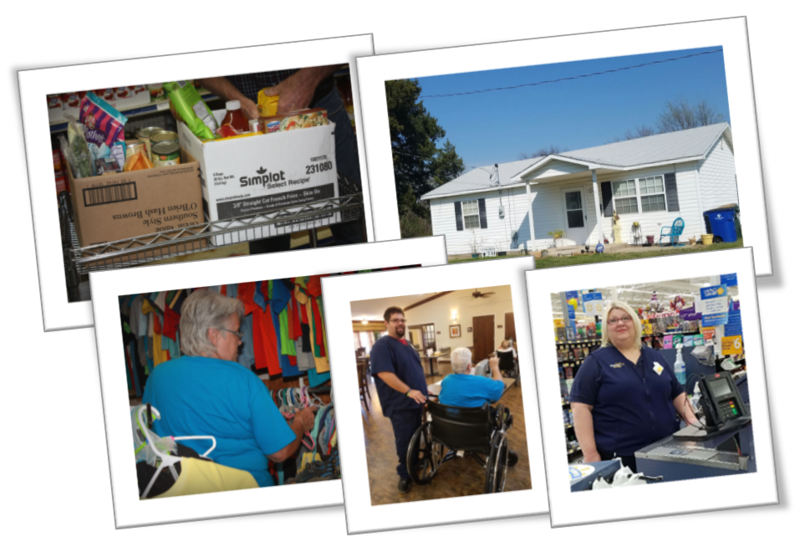 As partners with the Regional Food Bank in Oklahoma City, our client-choice food pantry provides food assistance to more than 200 families in Stephens County every month. Hands of Hope Housing provides a home for women who are transitioning out of the need for life change so they can be restored to their families and live self-sufficient and productive in society. From the large selection available at the Clothes Closet for every age and size, over 185 families each month are allowed to “shop” for clothing, furniture or household items they need at no cost. The Jobs for Life class provides training to men and women on how to find and keep a job. The results is employed citizens capable of providing for their families.